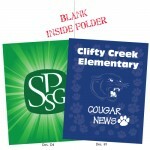 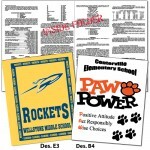 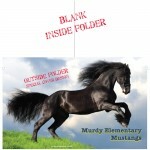 Customize your Folders with your SCHOOL NAME and MASCOT . 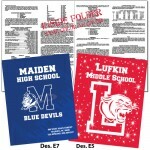 . . printed in 1 or 2 colors. 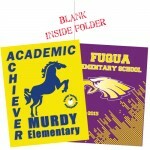 Heav..
School Name Folder - 2 color ..
School Name Folder - 4 color ..
School Rule Folder - 1 color..
School Rule Folder - 2 color..
School Rule Folder - 4 color..